For the second year in a row, CEA has chosen CNET.com to produce the Best of CES Awards program at the International CES. The awards recognize the best new products at the 2007 show in 10 categories, plus a Best of Show and People’s Voice award. Congratulations to these 2007 International CES exhibitors! The format war between HD-DVD and Blu-ray has prevented any manufacturer from releasing a player that will handle both formats...until the LG BH100. The format war between HD DVD and Blu-ray has prevented any manufacturer from releasing a player that will handle both formats...until the LG BH100. At CES 2007, LG introduced the first player capable of playing both Blu-ray and HD DVD discs. We were skeptical that any company could deliver a combination player at the show, but the LG BH100 is the real deal. LG demonstrated how you can seamlessly switch between HD DVD and Blu-ray, changing discs, skipping chapters, and watching true HD (1080p) movies in either format without a hitch. Perhaps the most surprising part is that the LG BH100 is ready to roll: The $1,200 player will be in stores, including Best Buy and Circuit City, in February 2007. The LG BH100 finally allows consumers to purchase high-definition discs according to which movie they like--not which player they own. At a press conference today at CES 2007, LG introduced the first player capable of playing both Blu-ray and HD DVD discs. The words on the drawer of the player read "Super Multi Blue Player," but the model number is simply BH100. The player will be available as early as the first week of February at Best Buy and Circuit City among other outlets, according to the company, and will cost $1,199. At least for now, this announcement appears to be the most significant news at the show. In case there was any doubt of the unit's capability, the company's press event included a demo of one player showing a custom demo loop labeled with a Blu-ray watermark and a second player showing the same loop with an HD DVD watermark. The company's reps even bravely performed a live demo of playing first an HD DVD disc and then a Blu-ray disc, skipping chapters, and so on. At one point in the conference, the LG representative changed discs, which took about a minute, although the spokesperson claimed a short, 25-second load time. The player can deliver up to 1080p output resolution at 24 and 30 frames per second via HDMI, but future-conscious buyers might lament that the HDMI version is just 1.2, not 1.3. The LG also has Blu-ray Java compatibility. 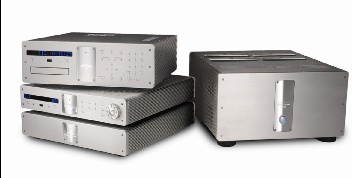 All of the standard A/V outputs are present, including 5.1-channel analog audio outputs. The spec sheet also mentions all of the requisite audio formats, including the lossless Dolby Digital True HD and DTS-HD formats, implying that the player decodes those formats internally and can send them out via HDMI in PCM format and via the analog 5.1-channel outputs. The unit can also play DVDs but not CDs. The back panel of the demo unit we saw did have an Ethernet port labeled "LAN," which I assume allows at least firmware updates and possibly some interactive features. Update: LG has confirmed that the BH100 also lacks the ability to access the HDi interactive layer found on some HD DVD discs, meaning that their advanced interactive features, like picture-in-picture commentaries and bookmark sharing, won't be available. LG also said that it could not add HDi via a firmware upgrade. I was skeptical at first of the company's ability to deliver a player, but this demo and the early release date appear perfectly legit. The release of LG's player opens the door to other companies marketing a combination player (Samsung), finally bringing some sense of security to buyers interested in investing in next-generation DVD discs. Of course the price of the BH100 is out of reach for most buyers, but if the falling prices of DVD players are any indication, their successor players might become somewhat affordable in a couple years. Of course, we're looking forward to reviewing a BH100 as soon as possible. The company also introduced a $1,199 computer drive, model GGW-H10N and available around the same time, capable of playing HD DVDs and playing and recording Blu-ray discs at up to 4x speed. It can also read and write DVDs and CDs. The Krell Evolution CAST Music System creates a new reference in musical playback for discerning music lovers that want to recreate a live musical experience in their own home. Location(s): This honoree is not exhibiting at the 2007 International CES. Design by: Ashcraft Design, Inc. 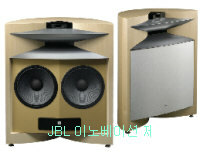 The Project Everest DD66000 is the finest loudspeaker ever created by JBL. It employs the company's most advanced technologies and materials to deliver unprecedented sonic accuracy and musical realism. Design by: Furutech Co., Ltd.